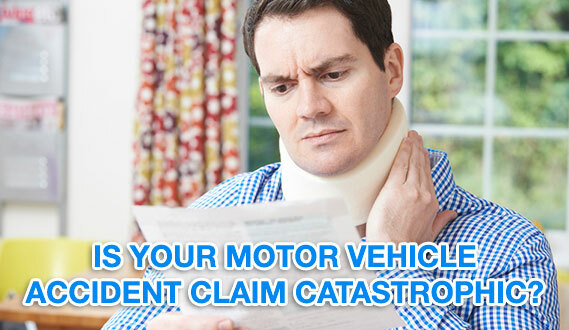 Is Your Motor Vehicle Accident Claim Catastrophic? If you’ve been injured in a motor vehicle accident, and you have suffered significant injuries, your situation undoubtedly seems “catastrophic” to you. However, the word “catastrophic” has a special legal meaning when it comes to personal injury lawsuits. In Ontario, there is specific legislation which defines certain motor vehicle accident injuries as catastrophic for the purposes of deciding how much insurance coverage is provided. The legal definition is very complex. Your standard insurance policy in Ontario provides you with accident benefits if you are injured in a motor vehicle accident, regardless of who is at fault. These benefits are defined by regulation (the Statutory Accident Benefits Schedule). It is here that the complex definition of catastrophic can be found. According to the legislation, for your claim to be considered catastrophic, the injuries that you sustained in the accident must be very severe. In general, injuries are labelled catastrophic if they involve one or more of the following: amputation of an arm or leg or other impairment causing the total and permanent loss of use of an arm or a leg; blindness in both eyes; brain damage that results in a score of 9 or less on the Glasgow Coma scale or a score of 2 or 3 on the Glasgow Outcome scale; a 55 % whole person impairment; or a marked or extreme impairment due to a mental or behavioural disorder. Severe chronic pain and psychological damage can also be considered catastrophic in certain circumstances. The legislation sets out certain conditions for these specifically defined types of injuries in order for them to meet the definition of catastrophic. The reason that catastrophic designation is so important to your claim is that it significantly affects the amount of benefits that you are entitled to. If your injuries are deemed catastrophic the amount of the “accident benefits” to which you are entitled increases. The available limits for attendant care benefits and medical and rehabilitation benefits for catastrophic claims are significantly higher than they are for someone whose injuries are not considered catastrophic. For example, the limit of medical benefits for non-catastrophic injuries is $50,000 compared to $1,000,000 in the case of a catastrophic injury. Also, if your injuries are deemed catastrophic, your insurance company will fund a case manager who will assist in the co-ordination of the goods andservices that you require as a result of your injuries. You will also be entitled to Attendant Care benefits for a longer period of time and the maximum allowed for Attendant Care services per month increases as well. It’s not usually enough to just apply for a catastrophic designation. Insurance companies will often fight the application for catastrophic designation, and it is necessary to use medical evidence to support the claim for such designation. You will likely have to attend some medical assessments, which are multi-disciplinary in nature. Sometimes it is possible to meet the definition of catastrophic with the medical documentation on file, however in my experience; it is most common that medical examinations are necessary. To say that this area of law is very complicated is an understatement. That is why it is essential that you hire an experienced personal injury lawyer to help you figure out if your injuries fit the legal definition of catastrophic, and to ensure that you receive all of the benefits that you are legally entitled to. At Santucci Law, we have experience fighting insurance companies to have our clients injuries classified as catastrophic. If you have been seriously injured in a motor vehicle accident, you will need a great deal of assistance, and you may not be able to work. In these circumstances, the costs for treatment and rehabilitation (as well as the usual costs of living) will soon add up. Without the catastrophic classification, your “standard” accident benefits are likely to run out quickly. If you have been in a serious motor vehicle accident, call Santucci Law to help you. We will be your bridge over troubled waters. 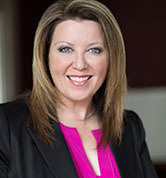 To obtain a free consultation, please contact our office by e-mail or call (905) 667-1987. Hamilton: Love your City, I do!